I am declaring my blog « Time-Out Thursday » because I just feel like a break from all the horrible stories in the world. I know, I know, there are people everywhere who can’t do that, but I thought a smile would at least be. . . . . a smile, for today. One of the things among the thousands I loved in India, was the elephants. My favorite of the girls we rode near the Amber Fort in Jaipur. That bumpy ride, swaying side to side. . . . check that off the bucket list! 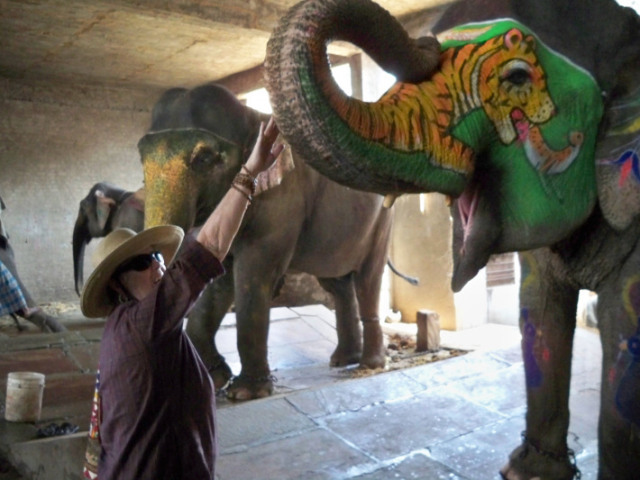 So here is the video of artist elephants in Thailand, painting a self-portrait of herself. Whew, the elephants in India didn’t do that or we missed it! See for yourself! She paints better than I could do and tourists pay up to $60 for each painting. 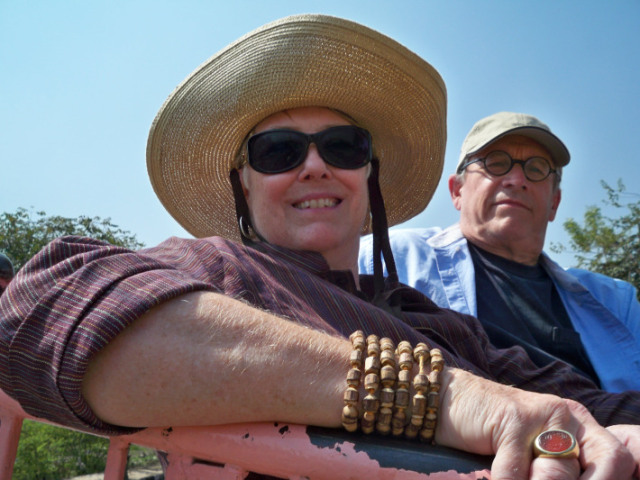 That money helps towards the elephants’ upkeep.